A few weeks ago, I went to the inaugural Madman Anime Festival. Melbourne has been a bit lacking in anime conventions since Manifest ended in 2013, so I was happy when I saw that MadFest was on. Madman are the biggest distributor of anime and manga, as well as other independent films, in Australia, so they are in a good position to run a festival. The festival space was smaller than I expected, but there were plenty of things to see and buy. I didn't attend any of the activities, but there seemed to be plenty to keep fans busy all day. I've been meaning to learn more in the world of anime and manga for several years now, and the intense, vibrant atmosphere was a good way to learn what's popular and what makes fans excited. 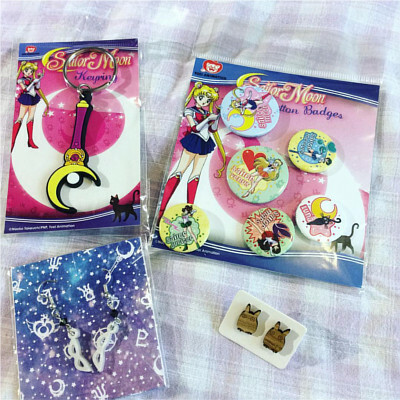 I've recently started watching Sailor Moon (the original series) for the first time, so I was excited to pick up these badges and a keyring. There are also a pair of Tuxedo Mask earrings and a Totoro pair from Curious Emporium. 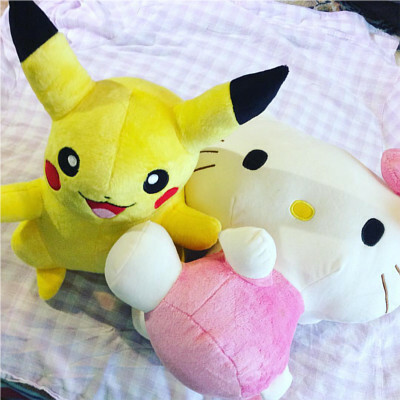 I couldn't resist this Pikachu plush, and the Hello Kitty is a gift for my Mum. I named the Pikachu Pickles. I purchased a hand-crocheted Totoro for an embarrassingly low price from a stall whose card I also didn't get. The detail on this plushie is lovely. 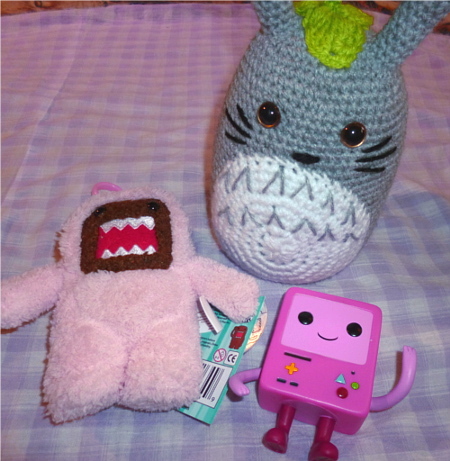 The Domo-kun and Beemo come from a mystery box that Husband bought. 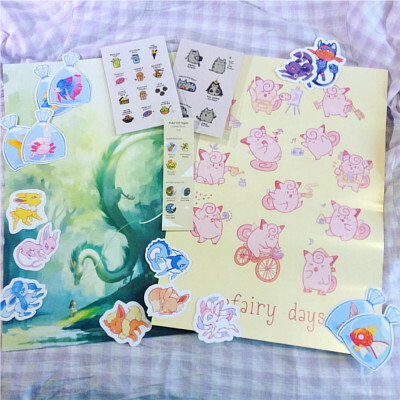 I got the pick of everything in it that was pink! 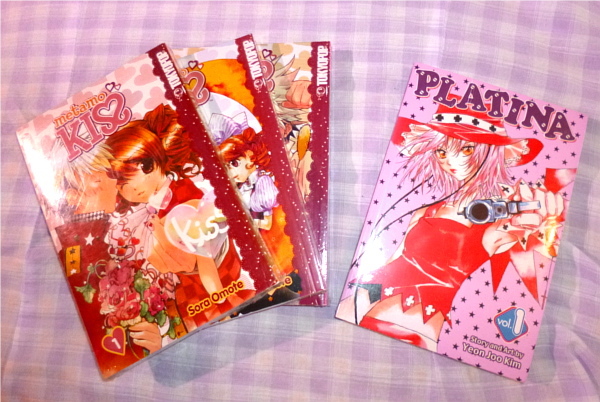 Finally, some manga/manwha I purchased from the $5 stall -- Platina and Metamo Kiss. I was hesitant to buy any full-price sets as it's always a risk with something you're not familiar with. If I like them, then I'll buy the rest at a later stage. While the festival was relatively small, I preferred it over the larger ones which can become overwhelming. I hope it will continue next year, and also hopefully that I will know more about anime by then.